NOTE: WCLO is the major Rock County outlet for Badgers, Bucks, Brewers, Packers and local High School football. These sports broadcasts will pre-empt the schedule when game broadcasts are scheduled. To check our planned sports broadcasts, visit our sports broadcast schedule page. Related website: Coast to Coast A.M. Listen to the latest podcast now. Show archives are available on our audio page. Locally produced each week by WCLO, Ag Matters is presented in cooperation with the Rock Coungy Ag Business Council. The program addresses a wide variety of topics and stives to foster a better understanding of how important agriculture is to the economy and the community. Wake up to Rock County’s only all news and information radio station. CBS National news on the hour. Local news twice hourly plus weather, sports and entertaining feature segments. These two programs run in alternate weeks. Van Galder Tour and Travel Show provides listeners on great travel opportunities through Van Galder as well as discussion of other travel-related topics from licensed travel professional, Lisa Sympson and other travel experts from the Van Galder Staff. Elder Life Radio takes a look at the many topics and issues surrounding planning and protecting your assets from the many unexpected pitfalls that may befall us as we age. Hosted by Douglas Ley & Scott Moan. 8 a.m. – 9 a.m. The Flower Hour from K&W Greenery. The Flower Hour continues to delight listeners of all ages and all gardening abilities. Jordan brings her expertise on everything that grows and provides answers to listener questions throughout the 8am hour of news and information every Saturday. Archives are available in podcast form from our audio page. Sheena Hansen and John Berkley’s “More for your Money: An Uncommon Sense Approach to Investing” Program offers insight and advice on topics related to investing and building a strong financial plan. Jill On Money is entertaining, humorous, and above all, approachable. The show appeals to anyone who wants to know more about money, regardless of asset level. Jill Schlesinger is the Editor-at-large for CBS Moneywatch.com. She owned and operated an investment management firm for 14 years and is a certified financial planner. Jill specialized in managing money in a way that was consistent with the risk tolerance of her former clients and presents financial concepts that are fun, entertaining, and easy-to-understand. This show is tape-delayed, but you can call the show line anytime at 855-411-JILL; email: askjill@moneywatch.com; or follow Jill on Twitter. WCLO brings you more Wisconsin team sports coverage than any other Rock County Station including the Brewers, Bucks, Badgers, Packers and local high school teams. When there’s a break in the action on Saturdays, you’ll enjoy an encore presentation of America’s Consumer Champion, Clark Howard. Clark Howard provides listeners with information to make decisions on topics from first time mortgages to buying appliances. America’s #1 Travel Radio Show. 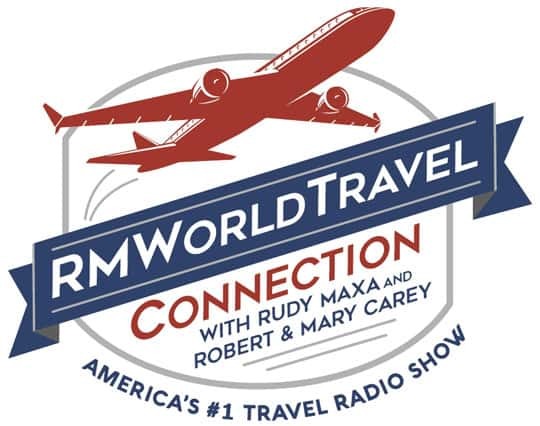 Rudy Maxa and the Careys bring listeners breaking travel news, topical talk, high-profile guests, honest commentary, tips/trends, straight-forward advice, inside scoop, fun and entertainment, and so much more! . 4 p.m.-5 p.m. Legends of Success or Wisconsin Sports play-by-play. Join John Resnick every week for a unique radio program featuring insights from our country’s most successful entrepreneurs, entertainment icons, and members of the prestigious Forbes 400 List. This program offers listeners a rare opportunity to hear first-hand the exclusive interviews and personal journeys of how America’s greatest legends made it to the top. 5 p.m.-6 p.m. “Now its the News” or Wisconsin Sports play-by-play. Now It’s The News with Derrick Blair is a unique, one hour, weekly radio program that embraces the hypocrisies and idiosyncracies of our representative Republic. Host, Derrick Blair proclaims, “In the truest spirit of bipartisanship, Now It’s The News will continue to mock the Left, the Right, the Center, and all points in between. The one hour, weekly, satirical review of news, politics and anything that interests Derrick Blair, also features ‘interesting’ interviews with A- through C-list newsmakers, comedians, politicos, and Hollywierdos. Past Guests have included President Jimmy Carter, Sen. Rand Paul, Penn Jillette, Oliver Stone, Darryl “DMC” McDaniels, and 183 others. Free Talk Live airs whenever there’s a break in the Wisconsin Sports Action as, alternatively, WCLO brings you more Wisconsin team sports coverage than any other Rock County Station including the Brewers, Bucks, Badgers, Packers and local high school teams. WCLO will break in to programming with local news updates as conditions warrant. Hollywood 360 is a weekly nostalgia and showbiz radio show, hosted by 30-year broadcast veteran Carl Amari, Each weekly show presents the best in classic radio (Jack Benny, The Shadow, Gunsmoke, Dragnet, Suspense), celebrity interviews, current movie reviews, trivia contests, and the latest in showbiz news.